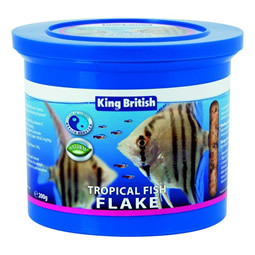 King British Tropical Flake is a complete and balanced diet scientifically developed to meet the specific nutritional requirements of all tropical fish. - Contains all the essential vitamins minerals and trace elements. Immuno health booster which is a natural seaweed extract that helps provide a stronger shield against infection and disease. - Made from the highest quality natural ingredients. - High in protein / low waste formula. Available in 4 sizes, also available for Coldwater fish. Hikari Tropical Algae Wafers are a scientific diet for Plecostomus and other algae eating fishes including marine herbivores. - A perfect balance of premium-select ingredients developed to promote proper growth and desirable form in most herbivorous species. 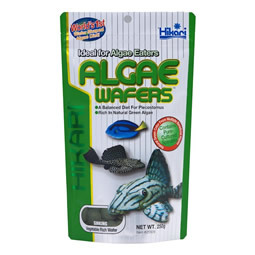 - Contains higher levels of vegetable matter and multiple algaes that plecostomus and other algae eaters prefer. - The uniquely shaped disc sinks rapidly and retains its shape allowing less aggressive species ready access to its nutrition. - The perfect treat for your omnivorous fish to super-charge their nutrient intake. - Contains pure-cultured spirulina and chlorella algae to help your underwater friends look their best. 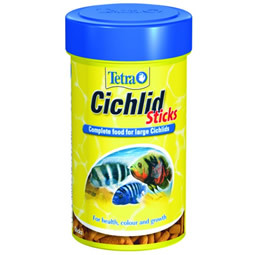 Tetra Cichlid Sticks are a complete staple food for all Cichlids and other large ornamental fish. The sticks are specially designed for Cichlids that like to feed from the surface with Tetra's Active Formula to support a long and healthy life. - Rich in protein and other nutrients to meet the nutritional needs of large Cichlids.- For health colour and growth. Feed several times daily in small portions. 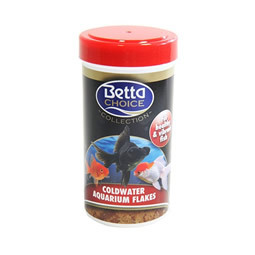 Betta Choice Goldfish Flake Food is a complete balanced diet for all coldwater Goldfish and Fancy Goldfish. Available in 4 sizes 13g 20g 50g 200g.